Chances are if your vehicles aren’t moving, neither is your business! We know how important it is for you to keep your vehicles on the road, and at Jiffy, our #1 goal is your satisfaction! Whether you use a fleet service provider or maintain your fleet independently, Jiffy Auto Glass USA is your best local resource for auto glass replacement and repair. In addition to a free monthly fleet damage assessment, we offer priority scheduling and same or next day service to ensure your fleet’s auto glass needs are taken care of. We accept all major insurance providers, provide you with volume discount pricing starting at just 5 vehicles, and offer a variety of flexible payment terms. 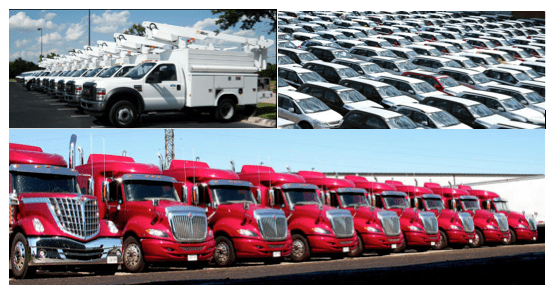 Using a fleet service provider? Great! Jiffy Auto Glass offers direct billing to fleet providers such as GE Capital, GSA, Enterprise, and more!